Get ready to get yourselves LEARNT, guys. This week we have an equally educational and enjoyable episode with a very special guest, Harrison Brookie, who is a local high school teacher and improviser extraordinaire. His top 5 this week is easily our most specific topic to date, and we couldn't be happier with it. 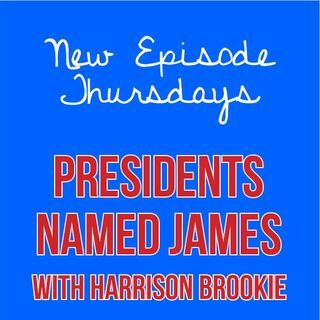 We're talking the top 5 US presidents with the first name James. Didn't know there were 5 presidents with the name James? Well now you do.